Tell us about your role and how you got here. What inspired you to be part of a Location Data company? Blis emerged from my senior thesis at university, where I identified a market opportunity to use mobile, wireless technology, and location intelligence as a way of accurately targeting audiences for digital advertisers. I have designed and engineered intelligent demand-side and data management platforms, even steering the product development of several patented Blis inventions. In my role as CEO, I oversee the global business including the management of technical engineering, product strategy, financial management, talent acquisition and international market expansion. We have grown across the EMEA, Asia-Pacific and North American markets. How is the European data market different from its Asian and North American counterparts? What are the opportunities and challenges in the European data market? How do you see Location Data technology creating more opportunities for marketers in delivering impactful results in Customer Experience and Social Media Advertising? With access to location insights, brands can serve relevant and useful content to customers. For instance, take a national grocery market chain, an extremely competitive sector. Using location data, they know when customers are looking for a certain product (via content engagement or online searches) and if they are near the store. With that information, they can alert consumers to relevant promotions and send coupons right when the customer is on the way to the store, ultimately helping retain the consumer and giving them a great experience. How should CMOs use Location Data to create their Ideal Customer Profile? Location data is becoming increasingly valuable as the fight for consumer attention and dollars becomes more and more competitive in the digital space. Using location-based services allows brands to gain a fuller, richer view of their customers’ behaviors historically and in real-time and how they interact with competitive brands. These insights can be used to make strategic decisions about products they carry, store location and targeting techniques. In addition, this objective, passively collected data can really shine a light on the actual store-to-store behavior of shoppers with a granularity that survey data simply can’t match allowing brands to understand who their shopper base is. How does Blis deal with inaccurate and fraudulent data? What analytics do you use to segregate these from real-time data? The main challenge in using location data to inform campaigns has been the amount of fraudulent information and holes in the data provided. With 50-70% of GPS data being inaccurate, the fraud needs to be removed leaving the data sets a fraction of the size and needing to be scaled up again in order to identify meaningful trends. We use verified GPS data scaled out to public wifi. All Blis-verified location data passes through our quality control technology to filter out inaccurate and fraudulent points so that we’re only working with sources we can trust. 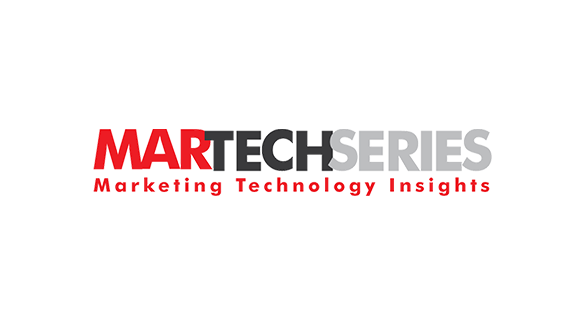 What startups in the martech and adtech industries are you keenly following? As a business, we use HubSpot and Zoho. A campaign I’m proud of and that earned us an award from The Drum US was with a design studio. We used our proprietary technology to create unique and relevant audience segments-“Design professionals”, “Art enthusiasts”, and “Creative Thinkers”– for a design studio client looking to reach a niche group of design creatives with ads driving them to an upcoming design event. We then monitored the behavior of all exposed devices to the advertising and tracked foot traffic to the client event. From this campaign, we were not only able to exceed the client’s goals, but we were able to offer rich insights to help guide their overall marketing strategy. In addition to driving awareness and foot traffic to the client event, the client event had one main sponsor–an auto dealership. The client wanted to monitor subsequent foot traffic of the sponsors auto dealerships to showcase the impact the sponsorship had on the event attendees to the auto sponsor. This campaign required results beyond standard digital metrics like CTR. The power of location data and combining the insights of location with that of digital engagement yields far more insightful results for marketers. Understanding behavior and behavior patterns can drive a change in marketing strategy. At Blis, we work to get ahead of the trends but we don’t follow until their impact on value is clearly measurable. By staying on top of the tech, we can work to integrate it when it makes sense for our customers. As far as AI goes, just last year we launched the industry’s first AI-powered mobile advertising solution– Blis Futures– which predicts future location behavior and helps brands prevent the waste of ad spend. How do you inspire your people at Blis to work with technology? I work to recruit smart people, and to create an environment that enables them to use that intelligence to its fullest. I trust people to get on with the task at hand without my checking in. By the same token, I try to make it very clear that I am ‘open-door’ by nature; I try to ensure that every individual on my team knows they can approach me with questions or problems. It’s valuable for me because it gives me insight into the day to day challenges of different roles in different geographies, and I see it as an investment in my ‘trust’ savings account with that person. Google Inbox and my diary. Blocking time on my calendar to read and catch up on emails. The most valuable thing for me has been to have a mentor – a person I can bounce ideas around with and who can question and stress test ideas and plans. It’s easy to become locked into one way of thinking and the act of opening up the kimono to someone else can be invaluable. Thank you Gregor! That was fun and hope to see you back on MarTech Series soon.